Hey guys !!!! 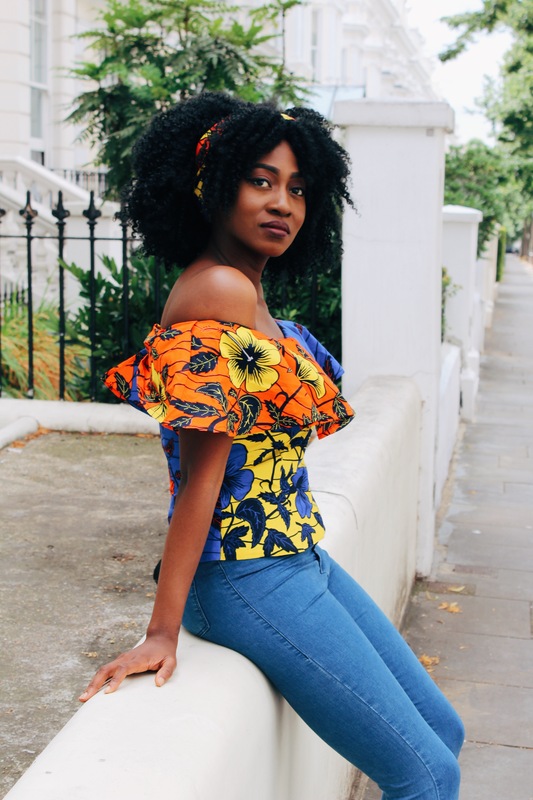 Back with another one ☝🏾, this has to be one of my favourite ankara material. 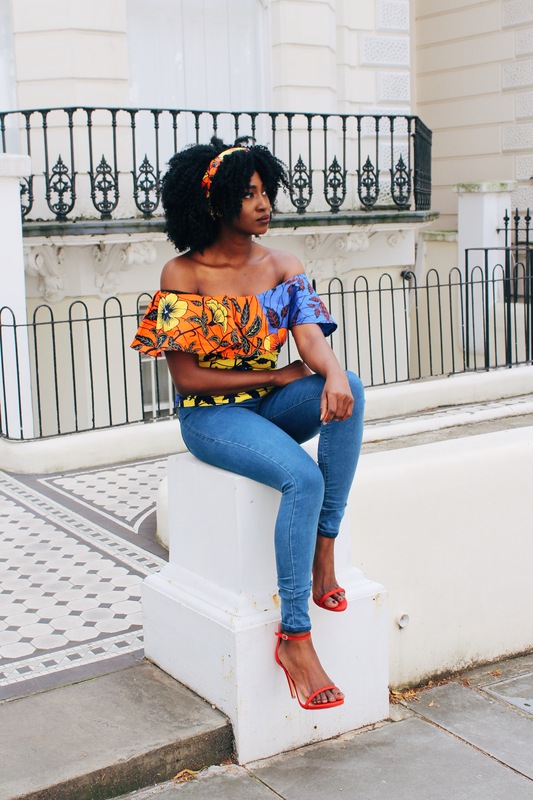 It’s basically split into three colours, which makes it much more fun to style as you’ve got lots of options on what to wear it with. 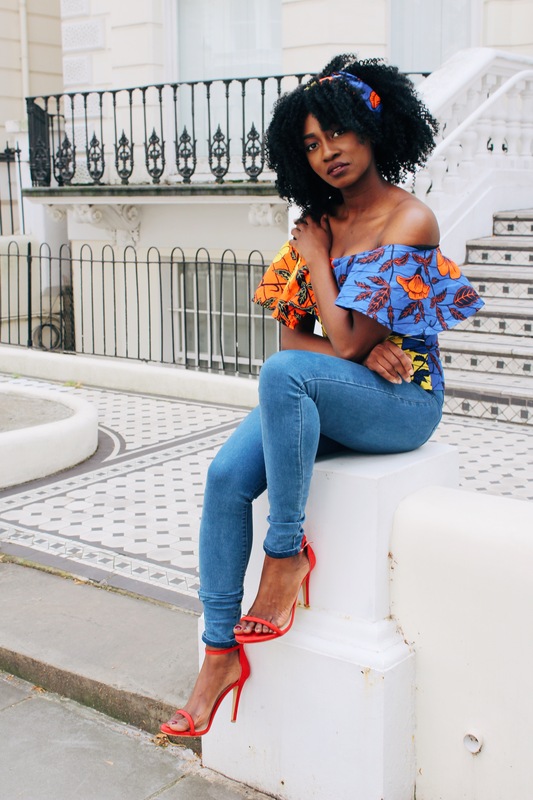 The main focus of this post is the ankara top, so there aren’t many full length pictures, but let’s get right into it. 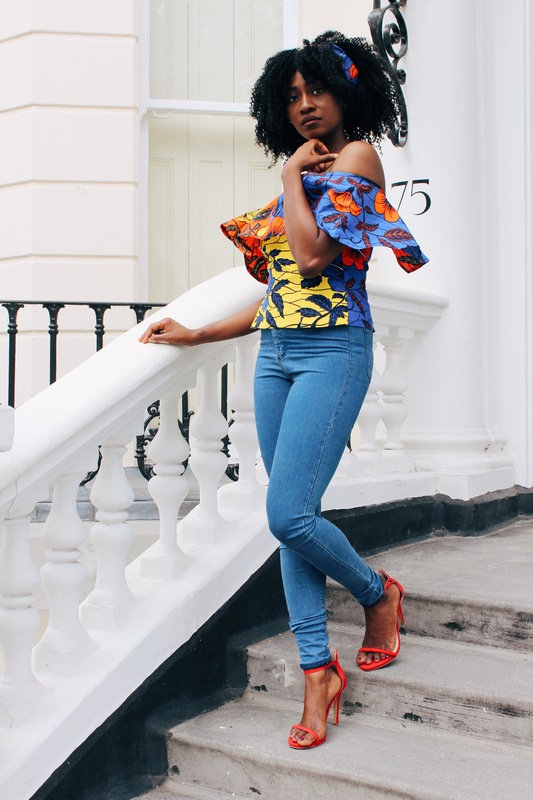 I opted for blue jeans and a pair of red heels, I think this ankara really speaks for itself as it’s very vibrant, but I love how the red heels don’t take the attention away for it, instead it adds to it. 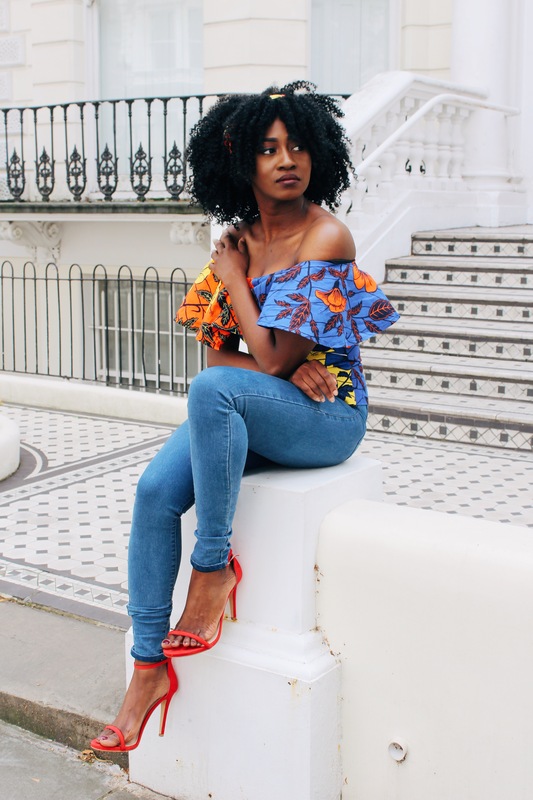 You could wear this outfit to various places like BBQ parties, the park, birthday party, graduation party, lunch with your friends, I would actually wear this on a date 😂😂😂 I kid you not. 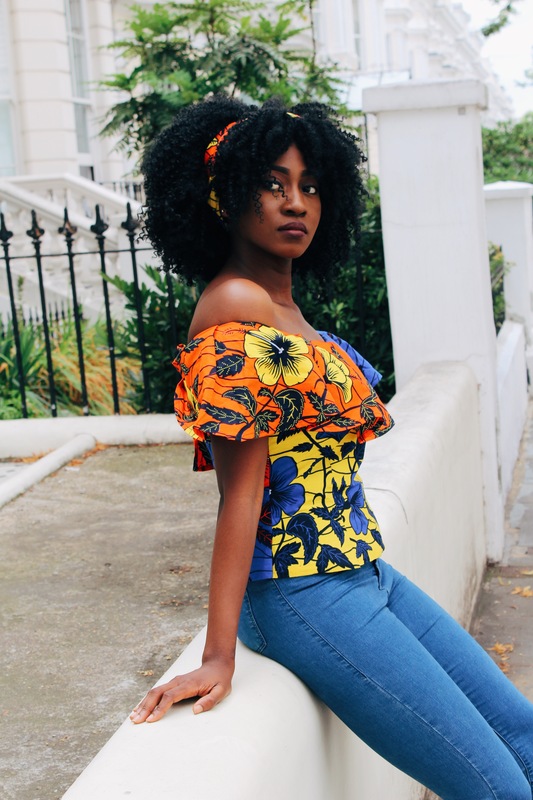 Anyways hope you like it, do leave a comment below let me know what you think and where you would most likely wear it to. Thanks for stopping by ☺️💙. 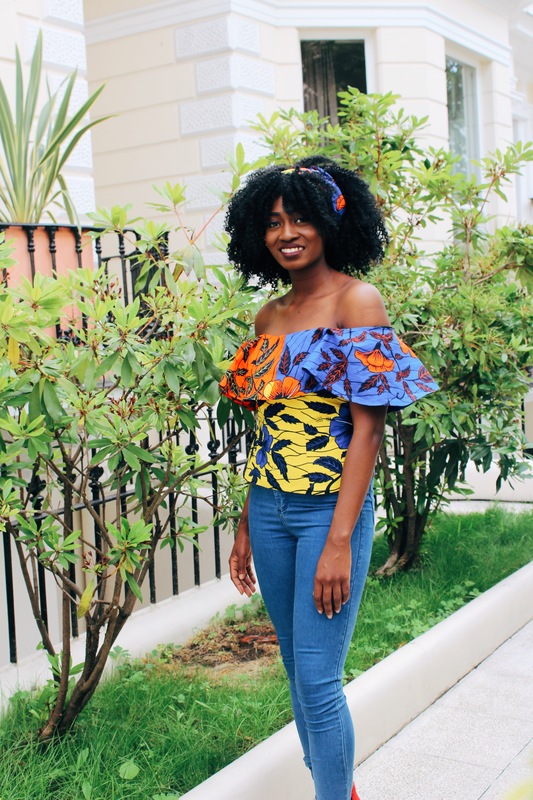 Ankara Lace :The new thing?? 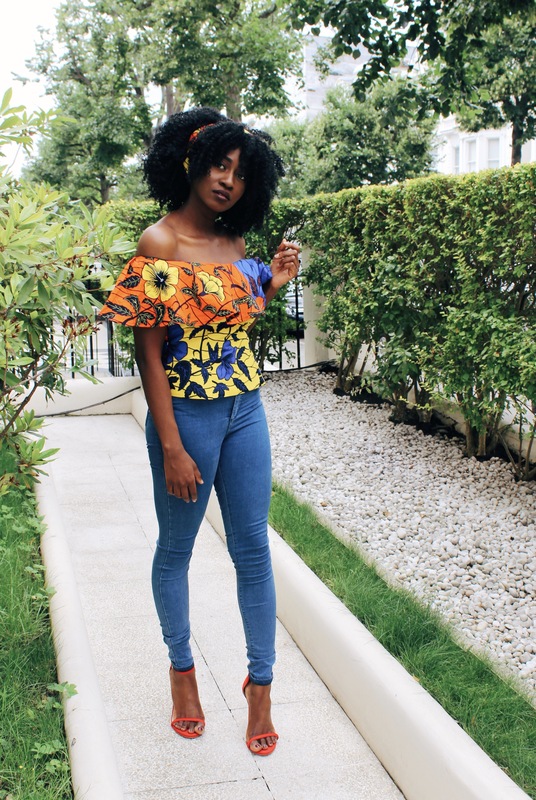 I love the prints on the top. 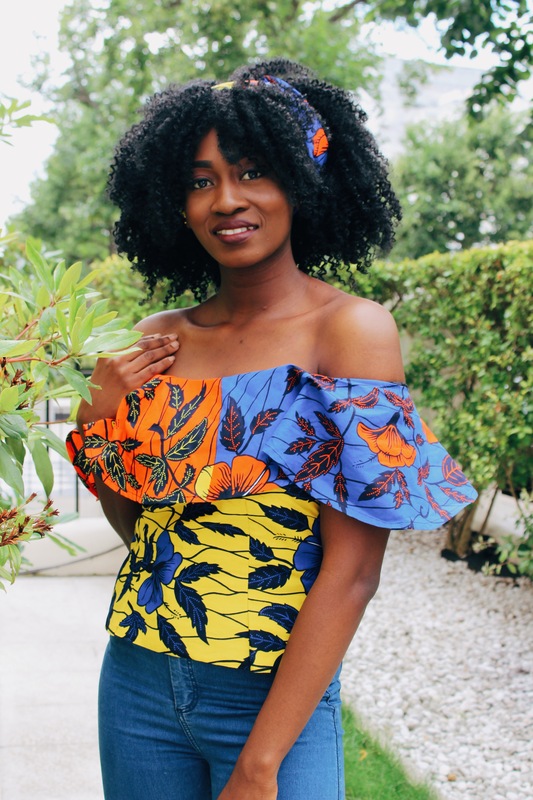 You have an eye for beautiful fabrics. Thank you very much 😘, I’m glad you like it 💙💙. Thanks very much not sure if the shop has an insta account I literally just walked into the store. But my photographer is tagged in all of my images on Instagram ☺️☺️☺️. 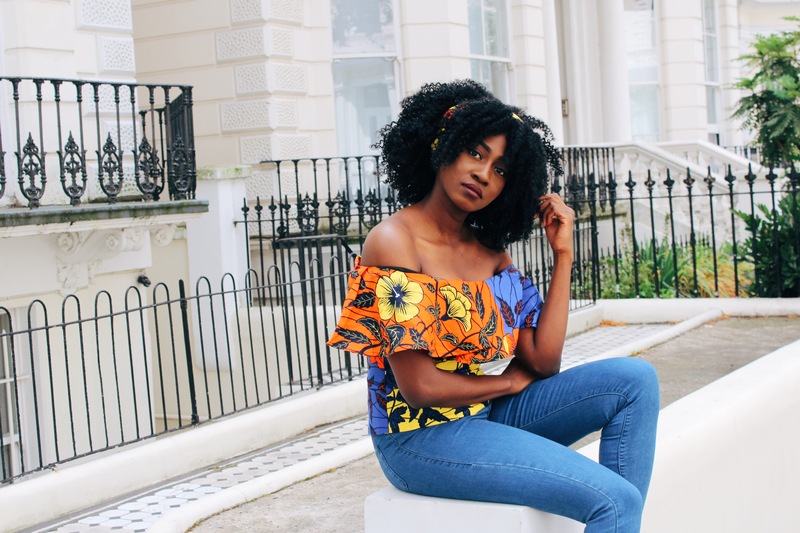 Pingback: Blogger Collaboration: Ankara Affair.